1. Can you remember when your interest in calligraphy began? My interest in Arabic calligraphy began when I was a young child. I remember my mother would always remind me to keep an eye on my handwriting and encouraged me to master it perfectly. Then, when I was studying in the UAE, my Arabic teacher was so impressed with my handwriting, she showed it to my classmates as the perfect example – that moment really encouraged me to follow and nurture my interest. With that in mind, I would like to thank that teacher, Mariam Aldoukhan, for inspiring me 30 years ago, because I am still living and breathing my passion for calligraphy. 2. What is it about calligraphy that continues to inspire you more than other art forms? Arabic calligraphy is part of my soul and spirit – when I draw I feel at peace. My passion continues to grow the more I explore calligraphy, and since Arabic is my mother tongue, I am surrounded by it in all aspects of my life. 3. What is your favorite style of calligraphy? Every single style of calligraphy has its own unique charm. Diwani and Thuluth particularly captivate me, as these two styles have unlimited flexibility, which makes me see a world of options and opportunities, which is very exciting! 4. Do you feel like the tradition of calligraphy and calligraphic art is declining or rising? In recent years there has been great interest in handwritten Arabic calligraphy – from non-Arabs in particular, which I find very exciting. Their interest, like mine, lies in handwritten calligraphy, rather than computerized scripts. 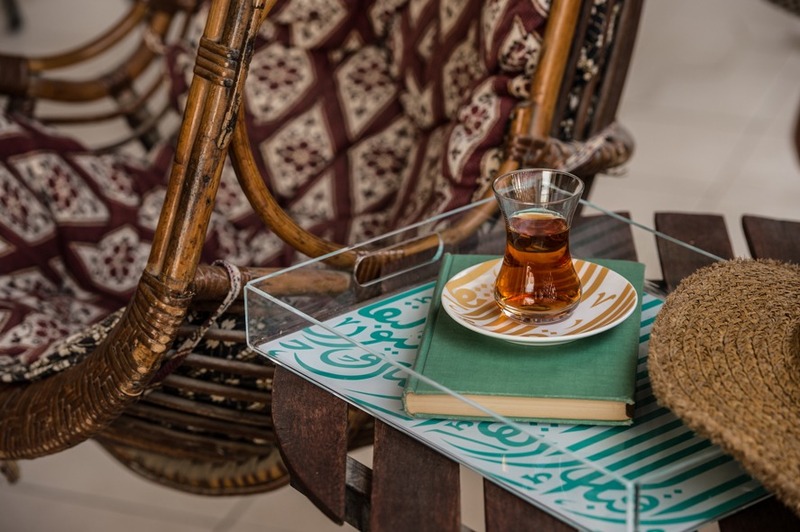 However, I do believe there are fewer people interested in learning the art of handwritten Arabic calligraphy, although there is a huge market which values this art form and loves to buy handwritten pieces – which is brilliant news for artists! 5. 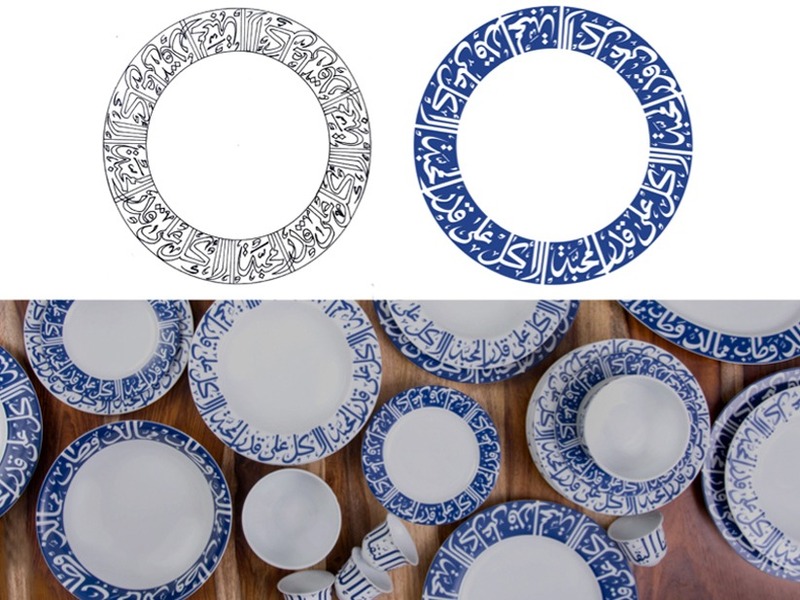 Silsal is bringing calligraphy into the everyday home. Why is this so important? 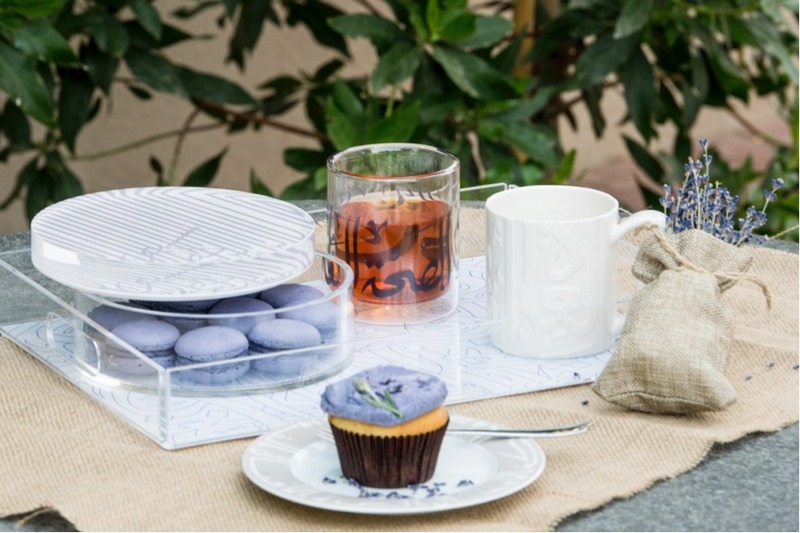 Silsal makes Arabic calligraphy accessible to all, bringing it into the hearts and homes of its customers. 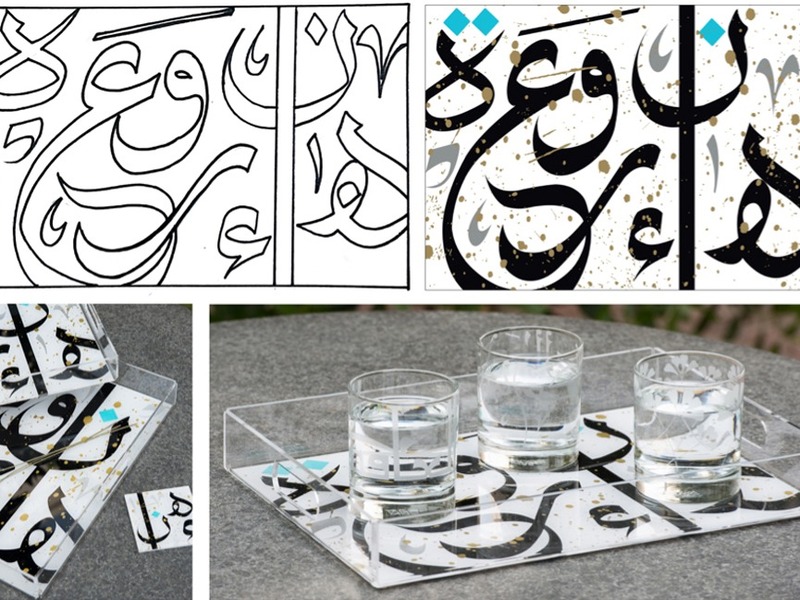 By applying calligraphy to everyday products, Silsal is reviving our age-old tradition, and attracting attention from the younger generation. 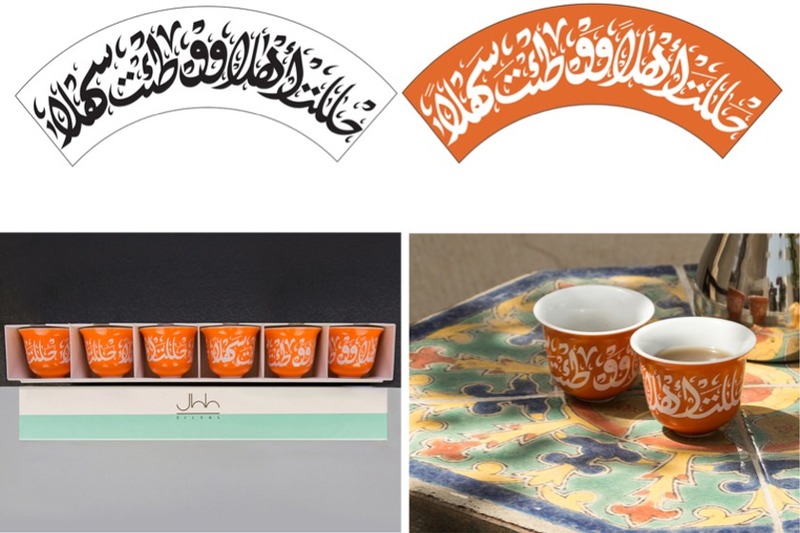 In addition, they do a huge amount to support the calligraphic arts. 6. 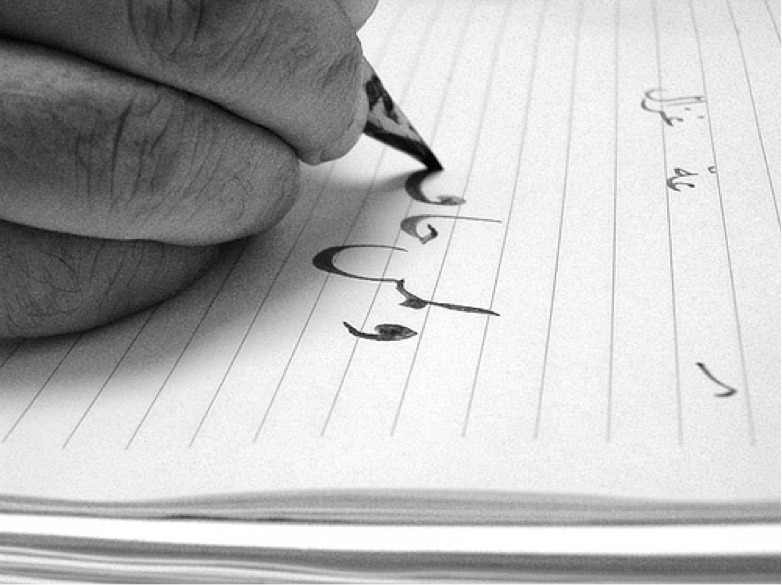 What is your favorite piece of calligraphy you have done for Silsal? Each and every piece I draw holds a part from my soul in it. But honestly, everything I do for mothers is very special to me, as I always relate it to my own mother, who I love and respect greatly.